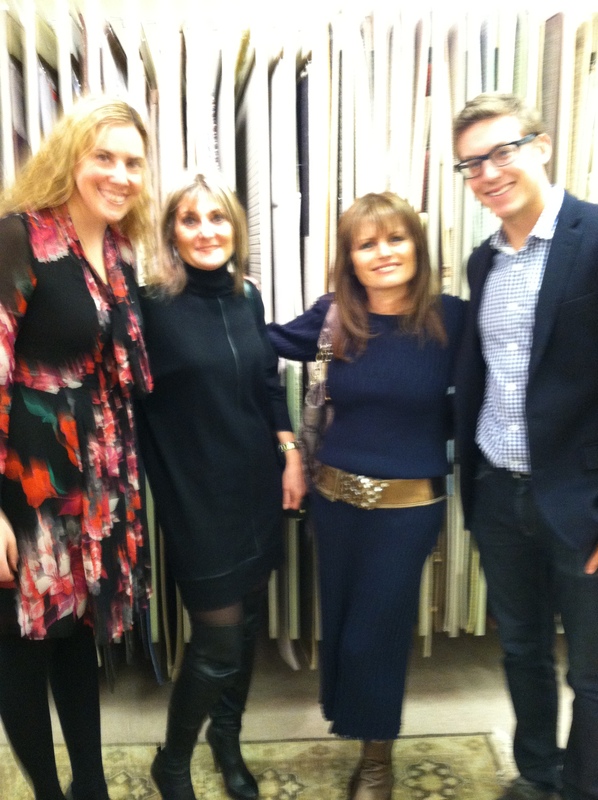 This past week was Designer Appreciation Week at Stark Syosset and it was a blast. Great job setting it up Nicole Passman!!! Those napkins (below) were awesome! 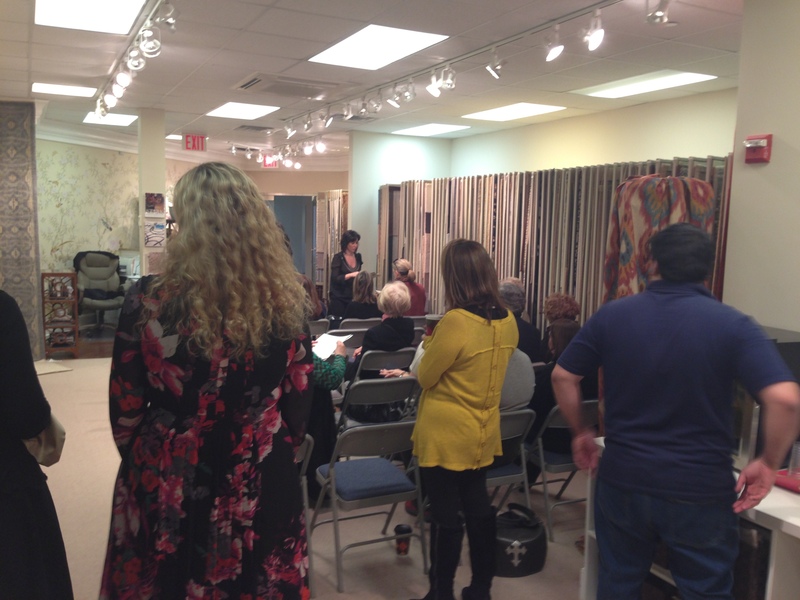 My first visit to Stark’s Syosset showroom was one to remember. 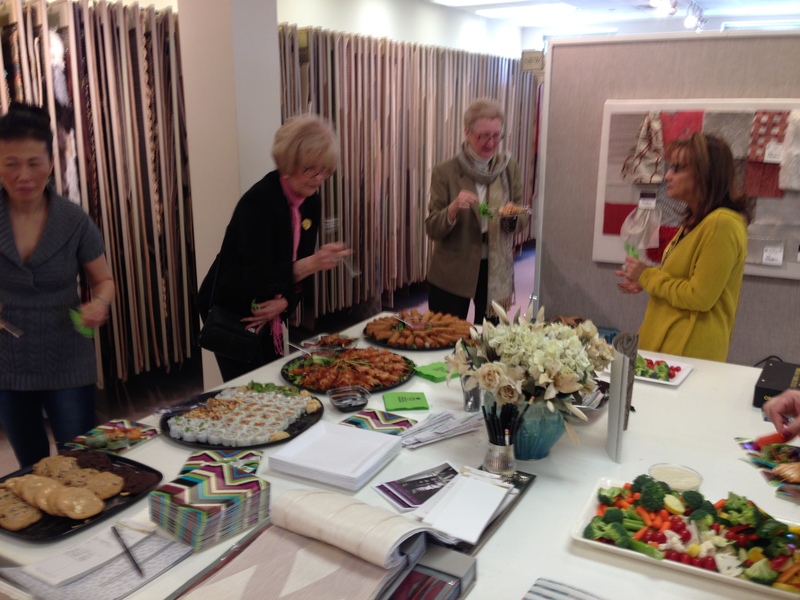 There was tasty food, great company, and even a raffle! 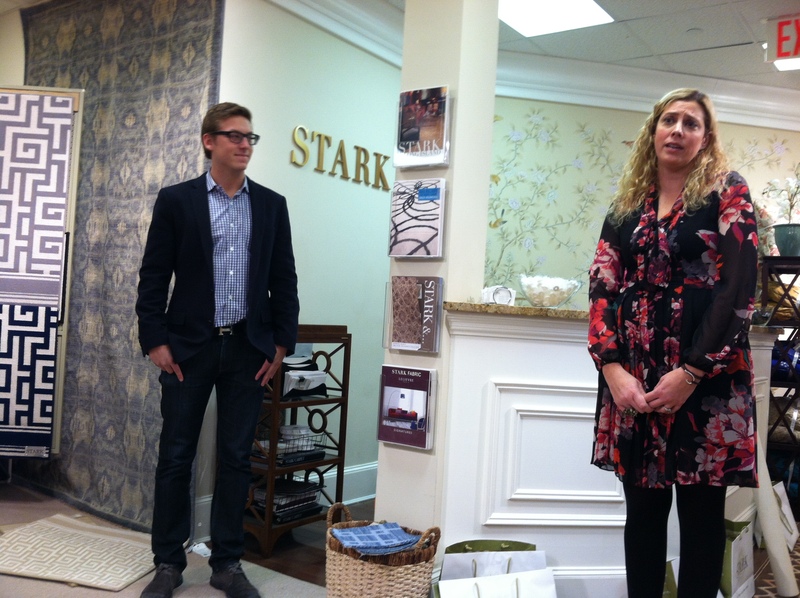 The showroom looks amazing and I’m so happy I got to personally meet about 20 designers who all shop at Stark. I gave a 20 minute talk about who I am, what my role in the company is, and the direction Stark is heading in. Though there may have been some skeptics in the crowd, I think everyone was pleased with what I had to say. Stark Home is not our way of trying to cut the decorator out, but it’s our way of empowering the decorator more than ever before!! That message was clear by the time I was done. If anyone wants to learn more, email me! Below are some pics of the event for your viewing pleasure. Sorry if they’re blurry!